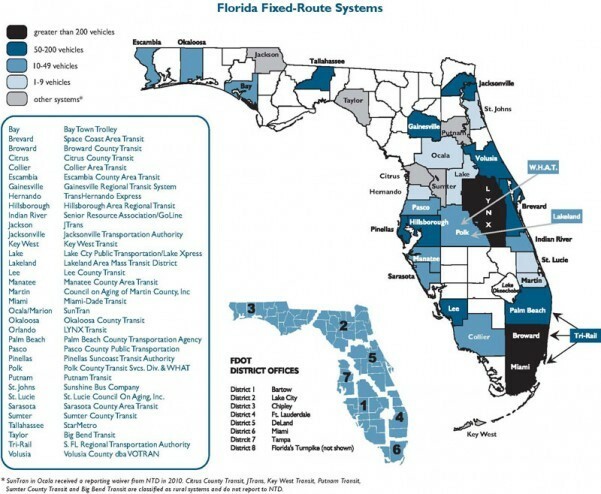 The Florida Public Transportation Association (FPTA) is one of the most active state transit associations in the nation. FPTA is a nonprofit association whose members include every major public transit agency in Florida as well as interested citizens and businesses. FPTA’s membership is composed of 40 urban and rural transit systems, including, two (2) commuter railroads, a heavy-rail commuter system, and two people mover systems. Many members also conduct paratransit operations to meet ADA and state requirements. MISSION STATEMENT – To continuously support improved public transportation in Florida through advocacy, innovation, education, and partnerships. VISION STATEMENT – Through the support of innovative public transportation and transit-supported land use, improve the quality of life in Florida.